Follow and expand the tracks and add new tracks if necessary. 16 pieces expand the BRIO railway world. The original wood tracks. 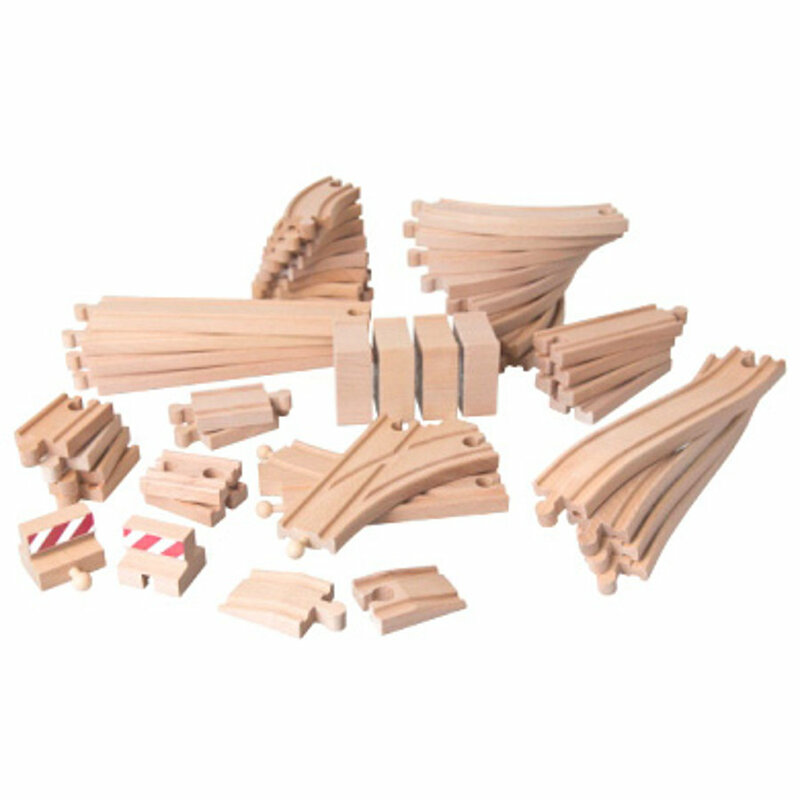 BRIO created the first wood tracks back in 1958 and has since then created the largest selection of wood track accessories worldwide. Our modular system offers unlimited possibilities and fun. The tracks are made of high-quality beech wood which makes them durable for many years. • Add on for BRIO starter sets.